Devarshi Bhattacharyya, Sanjay M Pattanshetty, Chandreyee Duttagupta. Background: In India, non-communicable diseases (NCDs) are a serious threat to human resources, as the recent data suggests that one in four Indians are at a risk of dying of NCDs before they reach 70 years of age. Healthcare utilisation is a major policy issue to tackle the threat of non-communicable diseases. 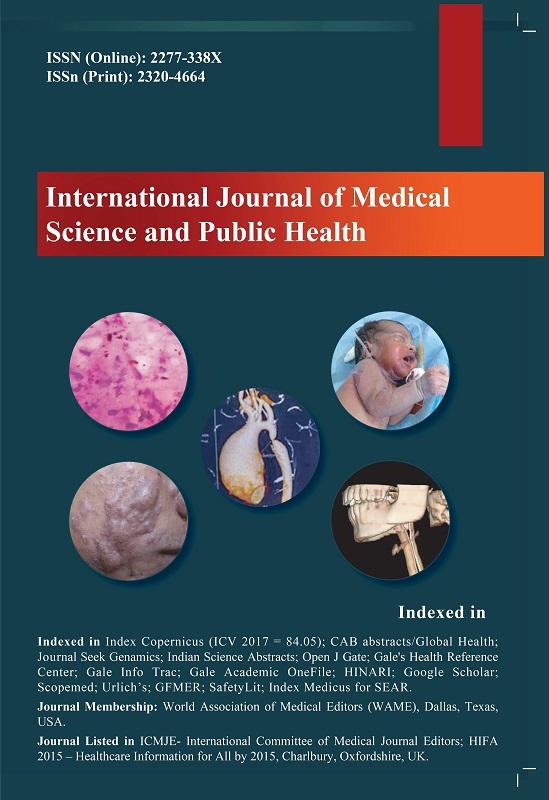 Objective: The aim of this study was to identify the factors and build a regression model that shows how the various factors affect health care service utilisation for non-communicable diseases across rural and urban households of Udupi taluk, Karnataka. Materials and Methods: A cross-sectional study was done to study the objective. Two-stage cluster sampling technique was used in both rural and urban areas. Thirty villages and 30 urban wards of Udupi taluk were selected by the probability proportional to size (PPS) technique. Result: On univariate analysis, the factors found to be significant (p-value < 0.05) were the residence; health insurance; health care provider preference; income; education; waiting time; and distance to the health centre. To adjust for confounders, a multivariable analysis was done with binomial logistic regression which found that health insurance and distance to the health centre were the significant factors that affect outpatient health care utilization for NCD patients in Udupi taluk. Conclusion: The results of this study show that it is important to concentrate on health insurance for access to health care for chronic diseases and strengthen the primary health care system. The main focus should be on insuring the vulnerable population and concentrate on the primary care of NCDs treatment.